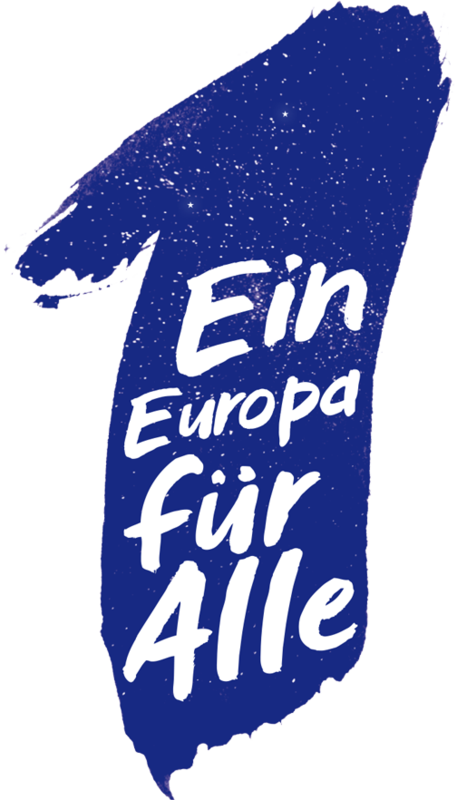 The European elections on 26 May 2019 will help decide the future of the European Union. Nationalists and right-wing extremists want to use them to herald the end of the EU and bring back widespread nationalism. Their goal is to bring far more MEPs into the European Parliament than ever before. We are all called upon to stop the tide of nationalism! We stand opposed when contempt for humanity and racism are made socially acceptable, and hate and resentment against refugees and minorities are stirred up. We will not allow the rule of law and independent courts to be attacked, human rights and freedoms to be restricted and the right of asylum to be abolished. That is why we appeal to all European citizens to vote on 26 May against nationalism and racism: for a democratic, peaceful and united Europe! In times of national attempts to go solo, it is more important than ever that we, as a society based on solidarity, work for a Europe that realises democracy and the rule of law across borders and turns its back on nationalism and isolation. Together we say: The EU must change if it is to have a future. We fight together for our vision of a different Europe. defends humanity and human rights. Instead of fortifying its borders and letting people drown in the Mediterranean, it guarantees safe escape routes, the right to asylum and fair asylum procedures for those seeking protection. stands for democracy, diversity and freedom of expression. Instead of listening to powerful business lobbies, it listens to the voices of its citizens. It defends the rule of law, becomes more democratic and gives the European Parliament more influence. It promotes tolerance and guarantees the diversity of lifestyles, gender justice, freedom of art, culture and the press as well as a lively civil society. guarantees social justice. Instead of promoting privatisation, deregulation and neo-liberal trade agreements, it becomes a counterweight to the massive influence of corporations. It builds on solidarity and secures workers' rights. All people are guaranteed the right to education, housing, medical care and social security as well as a life free of poverty. Europe must live up to its responsibility here - both at home and around the world. drives fundamental ecological change and solving the climate crisis. Instead of fossil and nuclear energies, it relies on renewable energies. It enables farming that is climate-friendly. At the same time, it ensures that change is cushioned socially and that good jobs are created. 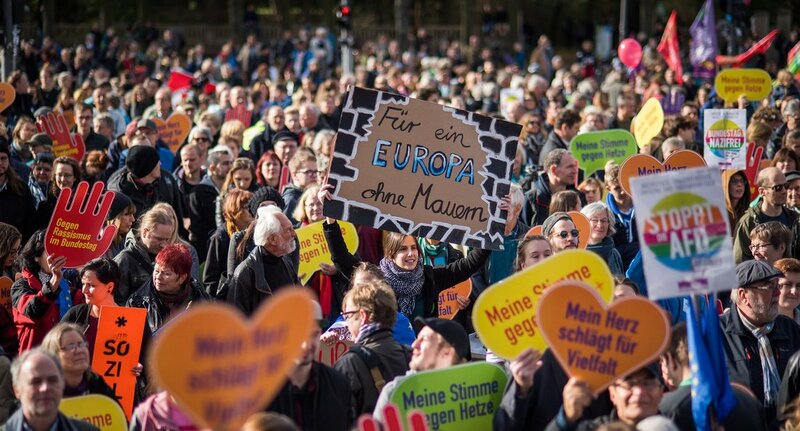 On Sunday, 19 May 2019, tens of thousands of people across Europe will take to the streets at the same time - for the future of Europe, against the nationalists.